Beaches are always a popular destination for tourists, but sometimes getting there—with all the supplies needed for a day in the sun—is a hassle. 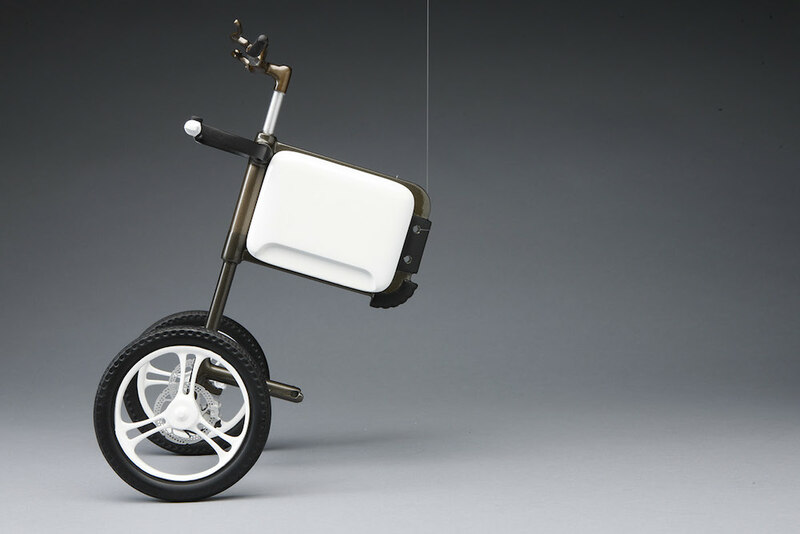 In response to this need, industrial designer Chen Liu designed a bike called the ‘Solectrike’ that helps people move more quickly and comfortably to and from the beach. The bike is part of a sharing concept that makes it convenient for tourists to park and ride throughout the day. The Solectrike can be split into two separate parts: the power module and the beach module. While in the power module, the bike can be borrowed from a number of central stations located in sightseeing zones, enabling tourists to move around more easily in coastal areas. The beach module is activated when you separate the back half of the bike from the front. 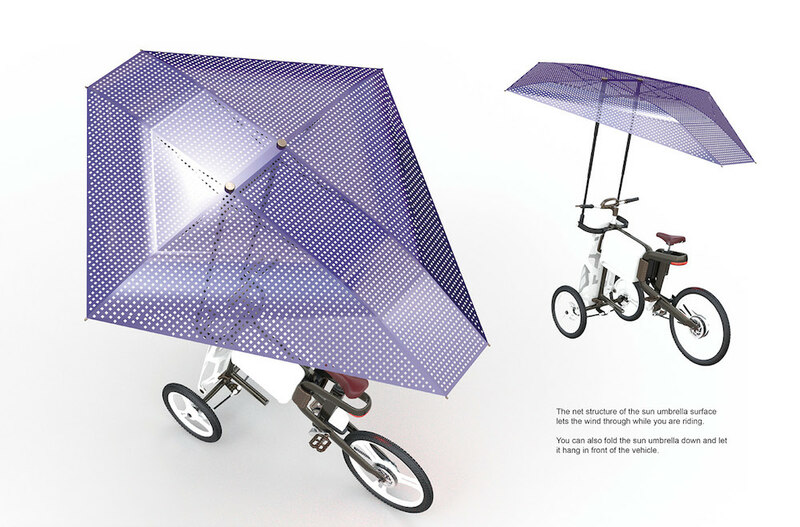 The front half of the bike can be dragged to the beach and set up as personal entertainment station, complete with a sun umbrella that collects solar energy and is able to power a cooler and other electronic devices. Lui based his concept to serve beach cities that draw in a lot of tourists, such as Nice, that have concentrated traffic along the coastline. The Solectrike allows tourists to get out of powered vehicles like buses and cars that at times create a disconnect between you and the environment. The bike gives visitors a unique experience that connects them to the city they are visiting and provides the amenities needed to enjoy a day at the beach.